Mold growth and oxidation are the predominant spoilage problem for sausages rolls. 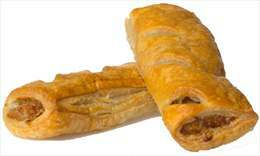 An addition of 3g/kg Guardox™ BL effectively delay the rancidity of Sausage rolls. An addition of 3g/kg Proteria™ CP is efficient against mold in sausages rolls.